Bored children act out, but you can avoid that just by enrolling yours in an adventure camp. The Great Aussie Bush Camp offers a variety of activities to entertain any bored child, and we have two terrific adventure camps in NSW to offer you – Tea Gardens and Kincumber. Our camps are designed to teach your child some amazing life skills that they will hold onto long into …read more. With an emphasis on providing memorable learning experience in a fun, family-friendly atmosphere, the Great Aussie Bush Camp has become the model for bush camps in NSW. The camp has been in operation for …read more. When it comes to kids camps in NSW, there is none like the Great Aussie Bush Camp. In operation for 14 years, the camp provides programs to students in an outdoor setting that are both relevant and memorable. Activities are fun, and students learn through experience. There is an emphasis at these kids camps on …read more. For quality outdoor education, the experience at The Great Aussie Bush Camp in NSW cannot be beat. The camp, which has been in operation for 14 years, has been providing memorable teaching and learning experiences in an authentic Australian setting. The variety of programs and activities offered is …read more. The Great Aussie Bush Camp is the perfect choice for a school camp in NSW. Students and teachers who attend are provided memorable teaching and learning experiences in the unique and authentic Australian environment. It’s a family friendly atmosphere where students participate in …read more. Students and teachers in the Sydney area can benefit greatly from the variety of programs offered by the Great Aussie Bush Camp. It is truly a unique school camp in NSW that leaves its participants with lasting, memorable learning experiences. The camp has been in operation for 14 years and …read more. Schools looking for the perfect summer camp in NSW will find it at Australia’s leader in outdoor education, The Great Aussie Bush Camp. Students take part in meaningful activities all while receiving the experience of the authentic Australian bush setting. For 14 years now, the camp has …read more. If you are looking for a great youth camp near Sydney, NSW then look no further than the two locations we offer Tea Gardens and Kincumber. Our camps make great learning experiences for a number of life skills that children will hold onto for good. Teamwork, leadership, and problem solving are …read more. Make your next school holiday camp in Sydney a memorable one by scheduling it at the Great Aussie Bush Camp. The unique camp has been operating for over 14 years providing an experience for both teachers and students in a family-friendly atmosphere. The Great Aussie Bush Camp takes much of …read more. Are You Looking for High School Camp in NSW? The Great Aussie Bush Camp Offers Two Spectacular High School Camps on the NSW Coast! Do you want your teen to regain or strengthen their interest in school, build new friendships, and explore the beautiful bushland of Australia’s least developed areas? Our camp offers all of these things and a great time to boot! …read more . Are you Looking to Give Your Child an Incredible Experience at a Primary School Camp in NSW? We have just what you need! 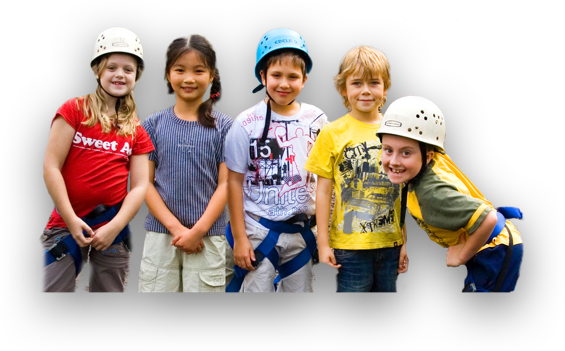 We provide the highest quality primary school camps to the Sydney area. At The Great Aussie Bush Camp, we offer curriculum based activities and programs meant to engage children and promote their natural curiosity and love …read more . 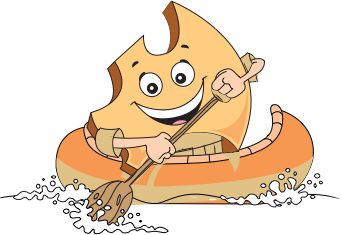 Are You Looking for School Camps on the Central Coast? Look No Further than The Great Aussie Bush Camp! At The Great Aussie Bush Camp, we have everything you could want in a school camp on the Central Coast. We offer the largest variety of curriculum based activities you’ll find and present all of our exercises in unique and engaging ways by our …read more . Want to Find a School Camp Near Lake Macquarie? No Worries, The Great Aussie Bush Camp Has Two! Lake Macquarie is Australia’s largest coastal saltwater lake, located between the coastal cities of Gosford and Newcastle. Wouldn’t any child love to drive by such an unthinkably large lake on the way to a nearby camp? We sure think so, which is why …read more . For teachers tasked with finding and organising a great camp experience for their pupils, finding the right one can be a real pain sometimes. Maybe you can’t find any school camps with the activities you are looking for, or perhaps you have concerns …read more . At The Great Aussie Bush Camp, we know that for many teachers, the level of stress that comes with planning and executing a school camp trip can be quite high. That’s why we have made it our mission to be totally unlike other camps! Instead of doing …read more . Your Search for a School Holiday Camp in Hunter Valley is Over! We are The Great Aussie Bush Camp, and we’ve been providing high-quality school holiday camps to Hunter Valley for fourteen years. We offer programs for primary and secondary schools, as well as custom made programs tailored to an individual group. …read more . Are you a parent or teacher looking to give a child an incredible and memorable experience at camp? At The Great Aussie Bush Camp, and we offer a wide range of activities, two stunning locations in the Aussie bushlands, and a consistent 9.5 out …read more .